A world of marvelous color hues in our small sizes of Diamond Cut Sapphires Gems and in bulk quantity. Though often blue, natural sapphires or natural fancy sapphires also come in yellow, purple, orange, and green and other natural gemstone colors. Our Diamond Cut Sapphires come in Pink Color, White color, Padparadscha as well as Orange, Green, Black, Purple and the undeniably indelible favorite Blue Diamond Cut Sapphire Gems. All sizes from 1 mm upto 4 mm are available in all colors of sapphires for tennis bracelets, small melee butterfly designs etc. We produce on order and sell by stock. These are the main colors we can supply you with and at wholesale prices and more tones are also available. We are a manufacturer of wholesale diamond cut sapphires from the source – Bangkok. The love of Sapphires transcends trends and lends pure satisfaction to those that wear them. Though worn by Royalty for centuries and well known by the current ruling monarchy as a symbol of prestige and elegance, don’t be daunted as your buyers will love you as much as the fine jewelry you provide them with Diamond Cut Sapphires inlaid. Pink Diamond Cut Sapphires, Medium Blue Diamond Cut Sapphires and Light Purple Diamond Cut Sapphires from our stock. Natural Padparadscha Sapphires often draw higher prices than many of even the finest Blue Sapphires. In all the colors of our Diamond Cut Sapphires range from a medium hue to vivid saturation of color are available – on order or in stock. Cutting small size diamond cut sapphires arent the easiest of jobs. One needs a highly skilled team who can slice the sapphire rough, make preforms, facet in the right angles, keep the girdle thin and still meet the right price point for the wholesale jewellers to be able to afford these time/quality sensitive cut small size melee sapphire gemstones. 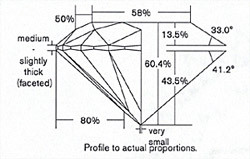 Wholesale melee diamond cut sapphires are the most product in the world because of its uniqueness. There are infinite number of jewellery designs that use diamonds but only few of them use colored sapphires due to the relative high demand of melee diamonds. Having said that, butterflies dont come white. Reptiles, animal rings never come plain but colorful. The peacocks and the butterflies are the most common jewellery article that uses 100’s of small finely cut small sapphires. Our diamond cut factory for sapphire and rubies are located in smaller subarbs of Bangkok and Chantaburi. We also have use the cheaper labour from neighbouring countries. 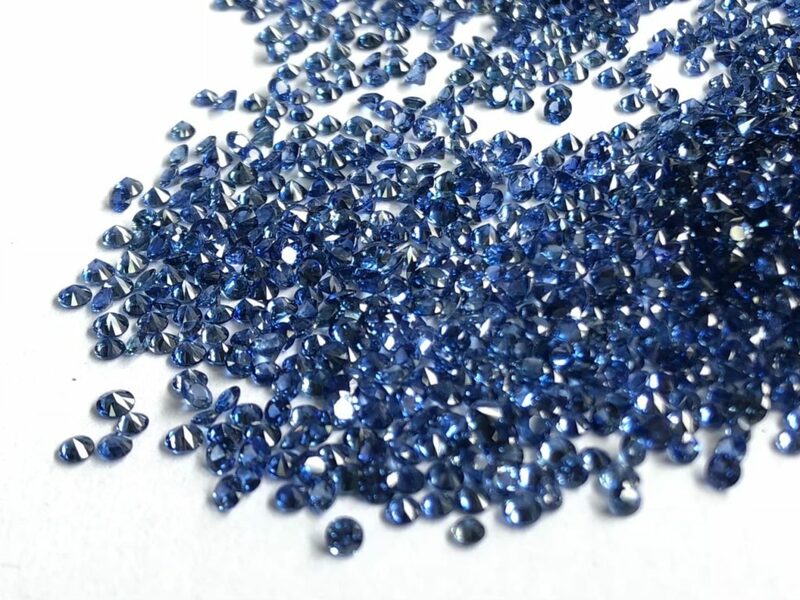 Our Diamond Cut Sapphires in Blue or Fancy Color are in stock and ready to order. Contact us through the link above and you may use the form or our email. phone or WhatsApp and we will respond promptly with any answers to inquiries on an order.